Hi everyone. Today I am going to show you a wonderful hydrangea board filled with tips for growing, taking care of and using them in your decor that I put together for HomeTalk. A couple of months ago I showed you how I saved some hydrangeas that were in risk of freezing by bringing them in and styling them in twine wrapped milk bottles in an old tin trough I had painted. It made such a stunning vintage addition to that area - I absolutely loved it. Well, I think Liz at HomeTalk did also. She asked me to curate a board all about hydrangeas. That wasn't hard for me to do because they are on my top ten favorite list of flowers I totally love. I found so many wonderful tips for growing, propagating, cutting and styling with them. I spent hours just pouring over these wonderful posts and I think you'll love what I found. If you're not familiar with HomeTalk you should really check it out. 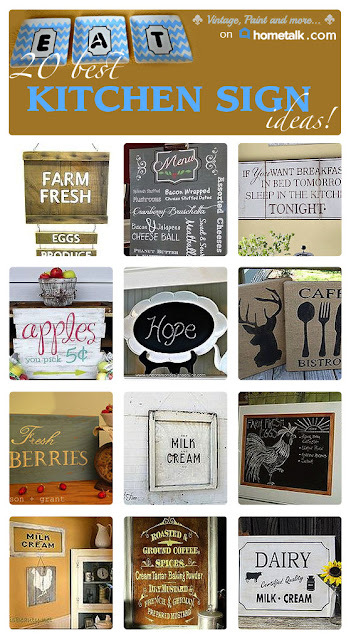 It is a great DIY home and garden site to find some of the most awesome inspiration and projects. And if I have a question about a particular process or project I can ask it there and someone will surely have an answer or point me in the right direction to find it. 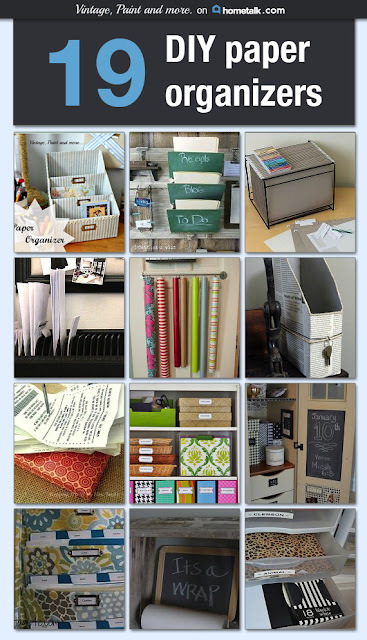 It is also a great site to collect ideas you may want to use in the the future or refer to at a later date. All you have to do is click on that project and add it to a board you have created. Easy peasy and always there for you to find again. If you click on the hydrangea board image it will take you to the board where you can then read the full post on each project. I am sure you will find a great one to spark some inspiration for you to make one of your own. I know I am going to be busy in the next few weeks. If you like this board you may also like the others I have made for them. I think you'll find that both of them have some wonderfully creative projects and inspiration for you. I will be linking to the parties listed on the I Party At page. Please visit them and check out all the great inspiration and ideas found there. Hydrangeas are one of my absolute favorite flowers!!! Nothing is cuter than hydrangeas in a mason jar! I adore what you did with those hydrangeas! You picked some beautiful pictures for the idea board. I love Hometalk so much! It is a great site that supports and encourages other bloggers like us. I am in love with hydrangeas, they have been my favorite flower for a long time. I have some in my front yard and I am eagerly awaiting the new flowers to pop up for the season. I see all of the little baby buds starting to pop up! 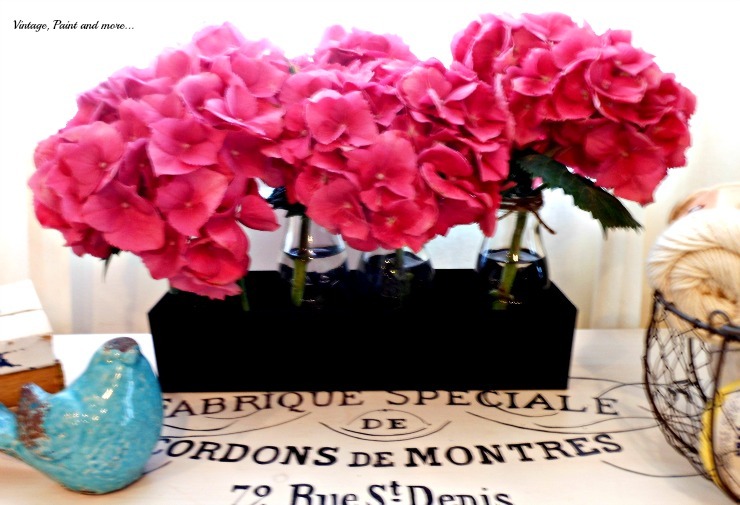 Thanks so much for featuring my hydrangea tips, Cathy! It's a super fun board featuring so many great ideas about my all-time favorite flower! I've always adored Hydrangea's but have never been able to grow them. Thank you for sharing such a wonderful board with us at Merry Monday! 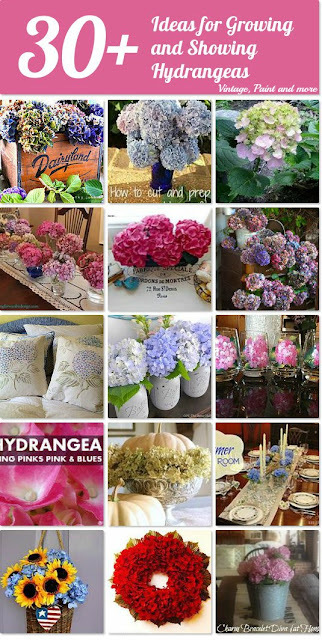 The hydrangea flower is one of my favorite flowers and I love your board featuring so many beauties! I also love, love, Hometalk! Posting on it has proven very successful with growing my blog more so than Pinterest and Facebook and that's quite unusual since I'm a how-to craft blogger! I love hydrangeas! This is an awesome board, thanks for sharing it. Oh I love Hydrangeas! They are so pretty and I really like how they dry so nicely and can be used in Fall arrangements as well!! Great Cathy! Liz is a sweetheart. I've had the privilege of curating two boards and thought is was lots of fun. The blue and pink variety of Hydrangeas don't do well here. Love them and wish they did! I do love my Limelights and Str. Vanilla's! Thanks for sharing with SYC.